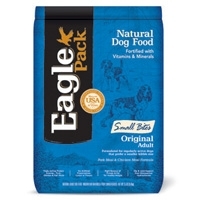 Eagle Original Small Bites Adult Dog 15 lb. 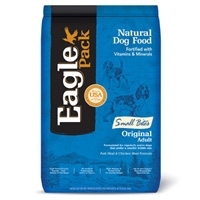 Eagle Small & Medium Breed Puppy 15 lb. 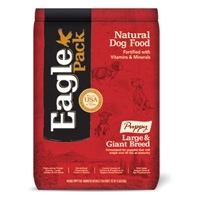 Our probiotic combination provides natural bacteria to puppy's sterile digestive system, to aid in the transition from mother's milk to kibble. 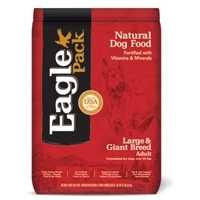 Eagle Large & Giant Breed Adult Dog 15 lb. 3 highly concentrated sources of protein from meat and fish meals - Chicken, Pork and Anchovy & Sardine Meals - build muscle and provides collagen for healthy joints. 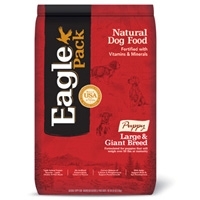 Eagle Large & Giant Breed Puppy 15 lb. Eagle Original Adult Lamb & Rice Dog, 15 Lb. 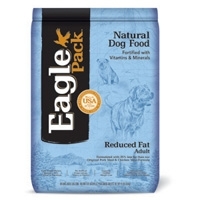 Eagle Adult Dog Reduced Fat 30 lb. 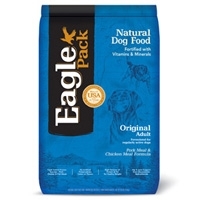 Reduced calories and our balanced and healthy level of protein, fat and carbohydrates will do just that, in a healthy and controlled way. 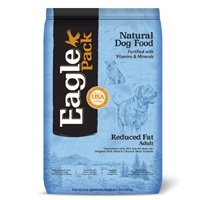 Eagle Adult Dog Reduced Fat 15 lb.